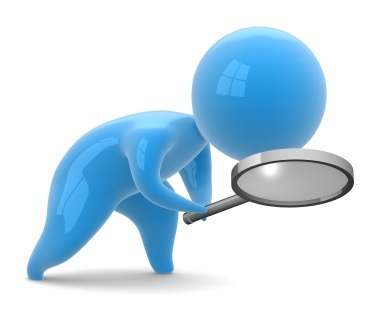 Searching for items in your Microsoft Outlook and Outlook Web App (OWA) can sometimes be really tricky. Many of us are not sure about various search criterias we could use to refine our search terms and locate exactly what we are looking for within a short time! All of us know how to insert a number of phrases in Outlook and OWA search bar and look for an email. However, Outlook and OWA allows us to use various Operators like AND, NOT, OR, <, >, = and punctuations in addition to the usual keywords to refine your search and find exactly what you’re looking for, instead of having to browse through 100s of results. We will look at some of the examples in this article. As you can see in the image above, these are some of the built-in search filters that come with Outlook 2016 and appears in the main menu bar. You can access these search filters when you click on the Outlook search field. If you click on “From” button, it would add: from:”Sender Name” in the search field. Where “Sender Name” is the name of the sender of the email you’re looking for…similarly, clicking on “Subject” button let you add a Subject: “Subject Name” search criteria. The problem arise when you want to look for an email from a particular sender, received between certain dates, for example. Let’s see how such searches can be done. Note: Boolean operators like AND, OR, NOT must always be typed in UPPERCASE when performing search in OWA and Outlook. in the search field which would return all items that has both Ram and Paul in it. in the search field which would return all items which has Ram but not paul. Notice the Quotation mark around the subject line. Ram NOT Paul Items containing only Ram not Paul. Ram OR Paul Items containing either Ram or Paul or both of their names appears in the result. hasattachment:yes Items with one or more attachments inside. from:ram hasattachment:yes Items sent by Ram with one or more attachments in it. sent:28/5/2018 To find all the items you sent on 28 May 2018 (“sent” tag can be used along with all the operators you use for “received” tag. subject:Around the World in Blockchain Projects received:06/05/2018 from: Ram This would return all emails with “Around the World in Blockchain Projects” either in the Subject or any other part of the email and received from Ram on 06 May 2018. Subject:“Around the World in Blockchain Projects” received:06/05/2018 from: Ram This would return all emails with “Around the World in Blockchain Projects” as it is in the Subject field and received on 06 May 2018. Notice the quotation mark around the subject line. If you find this useful, share it with your friends on Facebook, Google+ or Twitter. You can also follow me on Twitter @sarayoo.info or Google+ or Like me on my Facebook or on my LinkedIn for more updates, technology tips and tricks, iPhone, iPad, other iOS devices tips, iOS App Deals, Blogging tips, etc. Please leave your comments in the comment section or contact me if you have any other questions.